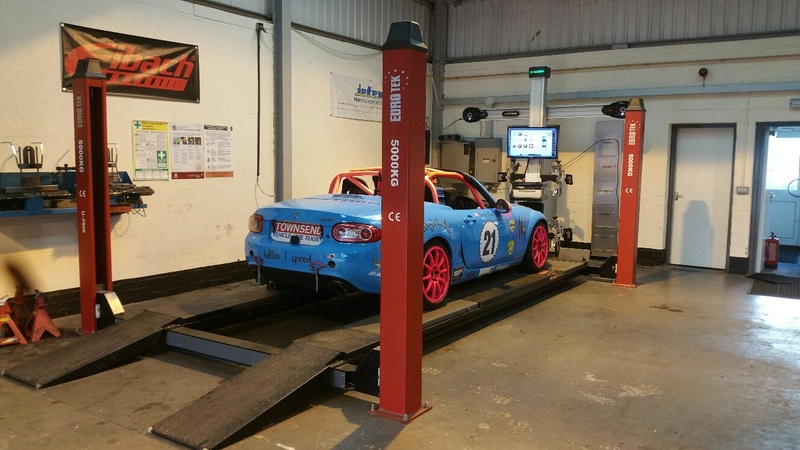 We offer a full vehicle geometry alignment, a 4 wheel 3D alignment and a 2 wheel 3D alignment with a print out of before and after. The full geometry is the latest Platinum System. This covers all aspects of adjustability within the modern vehicle chassis. The aims are set on all four wheels and the vehicle’s suspension/steering angles are measured with a full health check. Adjustments are then carried out to the manufacturer’s specification. This set up accuretly measures the thrust line and the front, rear toe angles, also the camber and castor. 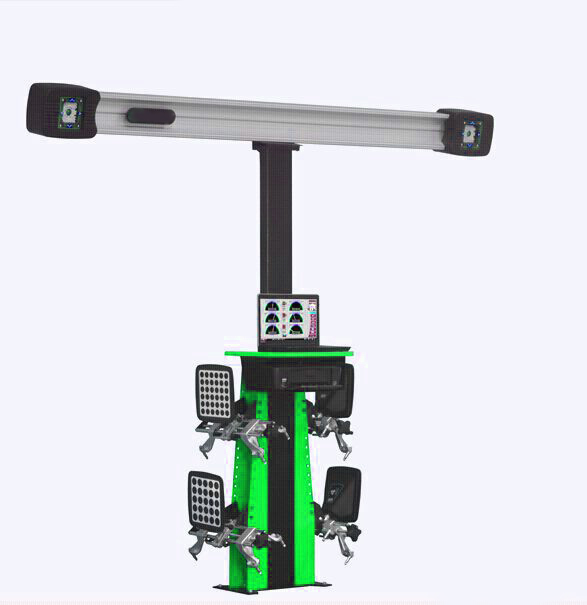 If adjustable we can then set the alignment to the manufacturer’s specification. 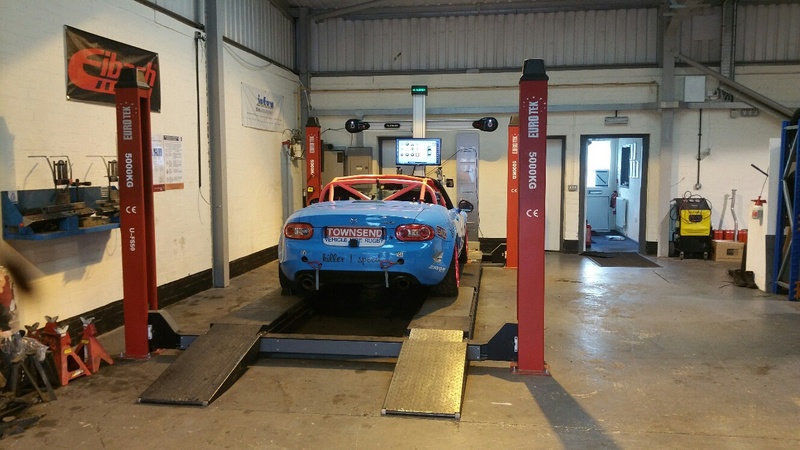 Correct alignment saves fuel, tyre wear and suspension wear. Research indicates that the average car mileage is around 12,000 miles per year. A vehicle with just 0.34mm toe misaligned, ( not very much) , has dragged its tyres sideways for more than 68 miles by the end of the year. Why Does It Need Checking If It Feels Ok? Driving over potholes, speed bumps or curbs can knock your wheel alignment out. This can lead to uneven wear and tear on your tyres and it could feel like your car is ‘pulling’ to one side. This in turn can lead to an increase in fuel consumption and premature wear and tear on your tyres. If your car is out of alignment (or tracking as it is more commonly known) by just 4mm then every mile you travel your car tyres are being forced sideways by 8.4 meters (24 feet). No wonder incorrect alignment results in excess shoulder wear. 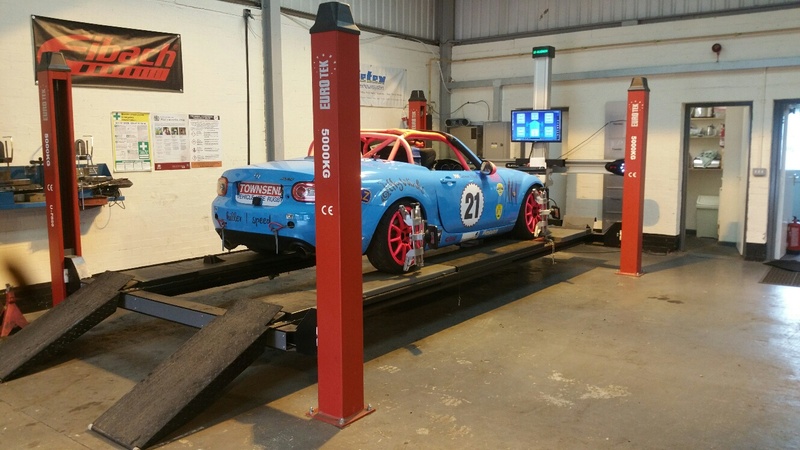 We use one of the latest 4 wheel alignment systems by Platinum. 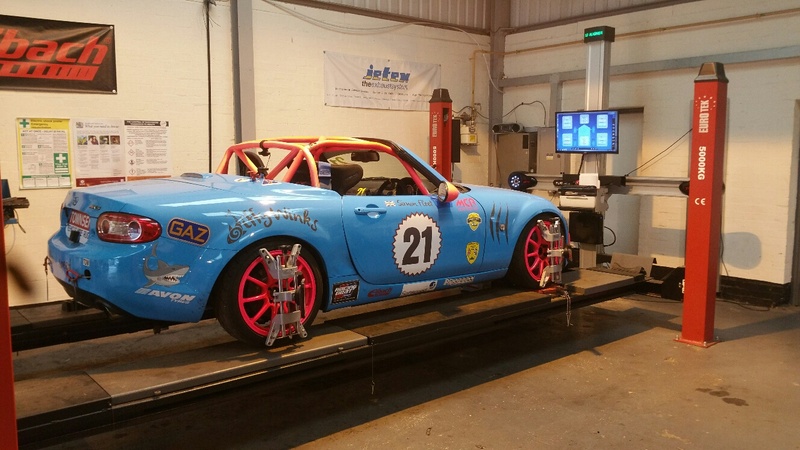 It enables us to have a clear and accurate read out on the toe, Castor and Camber of all 4 wheels of your vehicle. The information can then be checked against manufacture recommended settings. 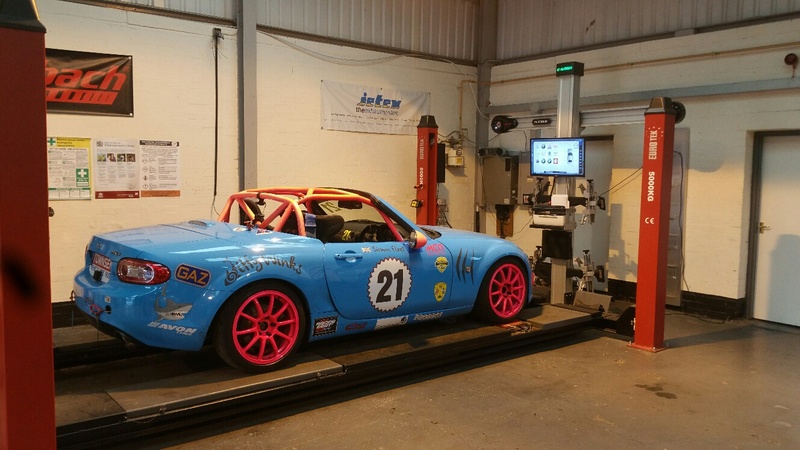 It is the same System that is used on our race cars to get perfect results on track to win races.